My new favorite necklace thanks to Clothingloves! 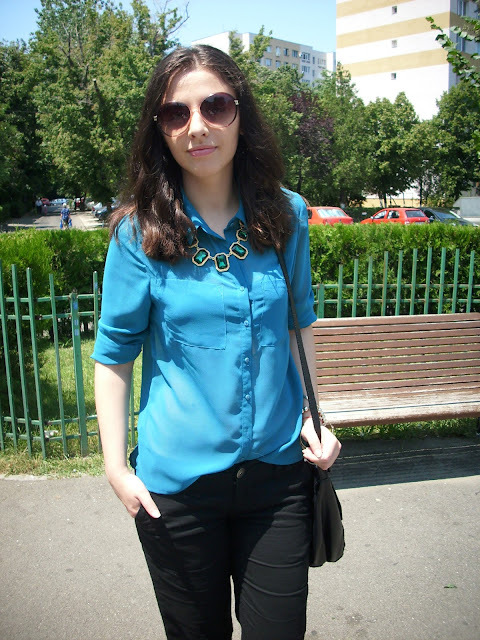 I haven't done an outfit post in a while but here I am with a new one showing you this beautiful necklace. I liked it when I saw it online, but when I received the necklace it really exceeded my expectations. It is the perfect shade of emerald, which we all know Pantone named color of the year and I would honestly wear it everyday if I could. They also have the necklace in blue, but I went for the emerald one. 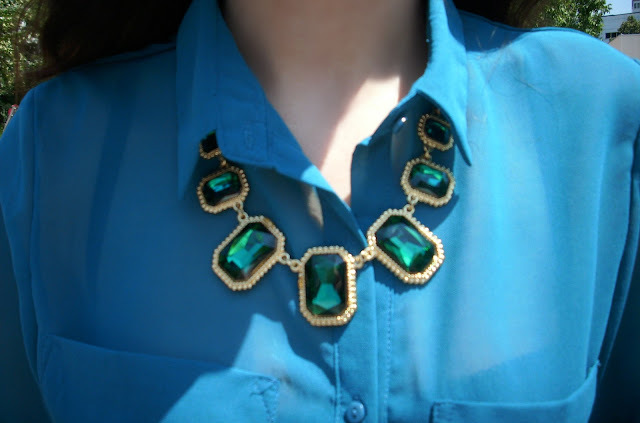 And my blouse is also emerald green, like the necklace but it looks blue in the photos. Too bad you can't see the real color. As I told you before Clothingloves offers a great selection of Women's Clothing, Men's Clothing, Special Occasion Dresses and even Bridal Gowns. Love that necklace, hun! Hope you're having a fabulous day. this such a beautiful necklace!!! Que bonito queda el collar con el color de la camisa. love your necklace so pretty!!! I love your necklace too! Lovely necklace! Love the color! Your necklace is absolutely beautiful, and I like the simple chicness of your outfit, great coloured shirt,Thanks for stopping by.. Hope you have a positive and productive week ahead! That's a great statement necklace! I like it and that blouse has a perfect color. love this emerld necklace hun ! You look amazing ! I like the color of this pretty necklace.